Protecting your online reputation is more than just searching for your name in Google and setting up monitoring alerts. It's also about using the tools, platforms and content around you to effectively build a protective wall around your name in the search results. To successfully accomplish this, you will need to not only have your own website and content in place but also know how to use social media, outreach, and authority sites to help your content rank higher. To help with this process, we've laid out eleven actionable tips for you to start using today. Each of these methods will prove extremely effective in the never-ending mission to keep your online reputation safe and secure! It's amazing how many individuals, businesses, and brands still don't have a website. If you fall into this category, take the next 10 minutes to start a website of your own -- it's your absolute best line of defense for protecting your name and brand online. When registering a domain name, be sure to register your personal name and your brand name. Once your site is live, be sure to add some quality content to it and also link out to all of your social media profiles. A website and a blog are two completely different things. If you already have a website, then you should also have a blog as part of it. A website is more about static content and information, a blog is more focused on content that is constantly being updated and usually powered through the WordPress CMS. The benefits of having a blog connected to your site is that Google will see a fresh supply of content being added on a daily/weekly basis, which will also help it rank higher and more often in the search results. Through the use of a WordPress powered blog, you will also have the ability to allow users to leave comments on your site and easily share it's content with others online. Twitter, Facebook, LinkedIn, Pinterest, and Instagram... it doesn't matter which you are using, as long as you have an account setup on each of them. Social networks are a crucial part of the online reputation management process because Google ranks them very highly in the search results. This means you could have many of your social profiles ranking at the top of Google for your personal and business name instead of other sites that you might not have control over. The more your own content ranks, the more control you have. If you already have a website or blog, there is a good chance you have a lot of links pointing back to your site. Some of them are good and some of them might be bad. Low quality and irrelevant links pointing to your site can be harmful to your site and may even be pushing it lower in the search results. To learn more about negative backlinks and how to remove them from your site, be sure to check out this quality resource. 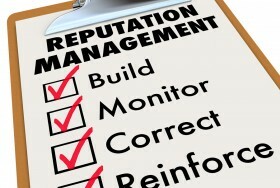 When monitoring your online reputation, you are probably going to find some comments, reviews and site content that you just don't agree with. For times like these, it's important that you bite your tongue and not leave any nasty comments in an open forum -- as they may come back to haunt you later on, or even make your reputation seem worse! For some best practices and tips on how to correctly respond to negative content online, read our guide here. Wikipedia is one of the most authoritative sites on the internet and it usually ranks right at the top of Google for most names and keywords. If you have a lot of personal achievements or are running a business that deserves to get featured in Wikipedia, this is definitely something you should look into. Not only will you be listed in Wikipedia, it will also bring notoriety to your name and boost up your other site properties and media mentions in the process. Not sure how to get listed in Wikipedia? This guide will help. How many times have you searched Google to see what comes up for your name or brand in the search results? Probably quite often! Unfortunately, this takes a lot of time and if you wanted to see what's always ranking in Google, you would simply go crazy! A better way to monitor personal name and brand mentions in Google is the setup a free Google Alerts notification. Instead of having to manually search through Google, you would receive an email alert every time your selected keyword or phrase appears within new content in Google. Best of all, it's free! Still don't have Google Alerts setup? Click here to start one now. Social networks are a great way to connect with others in your industry while also making it easier to share content as well. If you are a brand or business professional, taking the time to write a detailed article through your LinkedIn page is a great way to establish yourself as an expert among your followers and friends. It's also a great platform for making your message go viral as well. LinkedIn has millions of users on their site and if you take the time to create something really great or useful, it wouldn't be rare to find your article with a few thousand view and hundreds of social shares. Looking for an example? This article has over 100,000 reads! Infographics are one of the best ways to take boring data and turning it into something everyone wants to view and share. Not only can infographics be made for nearly any industry or statistic, they are also great for getting other websites and blogs to link back and share your original content as well. To see an example of how you can create unique content for your own site, refer to our recent article based on this reputation management infographic. Once you've created an infographic for your own site, be sure to put in the time and effort to focus on your outreach to make sure other sites pick it up and share it with their audiences. Speaking of reaching out to other websites and blogs... content contributions are another great example of how you can start contributing to other sites and gaining more exposure from it. With over a billion sites on the internet today, all of them are looking for more content. If you do a simple Google search for phrases like "write for us" or "guest blogging", you will come across a bunch of sites that will provide you with an author account and allow you to create original content for their site. The benefit here is that you get to put your name and expertise in front of a whole new audience. The author bio will also usually allow you to link back to your site and social profiles -- thus helping them rank higher in the search results. Not sure if guest blogging is right for you? Run through this best practices and tips for getting the most out of your content contributions. One of the best ways to gain immediate exposure for yourself or your brand is to reach out to different media outlets and writers on other big name sites. Forbes, Inc., Entrepreneur and Huffington Post all have thousands of independent writers who are always looking for new content and stories to work off of. Take a look at the latest articles on any of these sites right now and you will find the author section and contact details on the same page. Follow the author on social media, share their content and then follow up with them in an email to see if you might be able to help them (and get featured) in an upcoming article. While there seems to be a never-ending supply of content being created on the internet every single day, it doesn't mean that you and your brand's reputation needs to be held hostage. Take control of what people find when they search for your name online by implementing each of the actionable tips above. 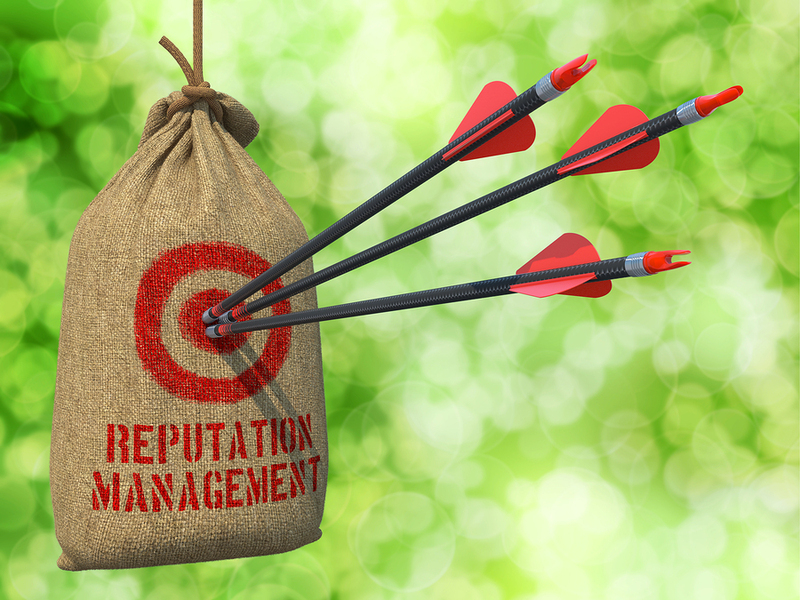 Your online reputation is something you will have for the rest of your life, so make sure to put the effort in now to have a protective wall around your brand that continues to work year after year. To learn more about monitoring and managing your brand mentions online, be sure to read through our list of most recommending monitoring tools from other ORM experts in the industry. Protecting the name of an individual or your name is very important in such a digital era when one thrash on your slight negativity or undesirable thing about you, will leave an impact of lifetime on your online reputation. I agree that in order to build your name, a positive reputation should be maintained which will also limit the undesirable content from spreading amongst audience. I agree with your recommendations except for number 4. Don’t waste your valuable time trying to remove “negative backlinks”.